Shopping for a pageant dress? One that will make you stand out? Look no further, here at Rissy Roo's we have amazing gowns to suit your style. Roo's News will always keep you updated on the latest pageant news, pageant winners, dresses worn by pageant winners by our top designers such as Precious Formals, Sherri Hill, Jovani, and more. We have compiled the best beauty tips, accessorizing tips and hair styles ideas just for you! Miss America 2017: Miss Arkansas, Savvy Shields! Even though we're still in awe over Miss America 2016's winning dress, another year has come and gone, and a new Miss America has been crowned! The Miss America 2017 pageant was held this past Sunday in our very own hometown of Atlantic City, NJ. It was certainly a fun event to watch, especially with the presidential election coming up. While all 51 of the contestants looked beautiful and had the talent and smarts to back up that beauty, Miss Arkansas, Savvy Shields, walked away with the Miss America 2017 crown. With a first name like Savvy, we expected her to have some savvy skills, and she definitely did! During the talent portion, she put on an amazing jazz routine, which won her the preliminary talent competition earlier in the week. This entry was posted in Pageant Dresses, Celebrities and tagged Pageant, pageant dresses, pageant queen, celebrities, celebrity, Best Dressed Celebrities, Miss America Pageant, Pageants, pageant gowns, Celeb Style, celebrity style, pageant dress, Celebrity Fashion, celebrity dresses, Pageant Evening Gown, America's Perfect pageant, Miss America 2017, Savvy Shields on September 12, 2016 by Chrissy Roos. 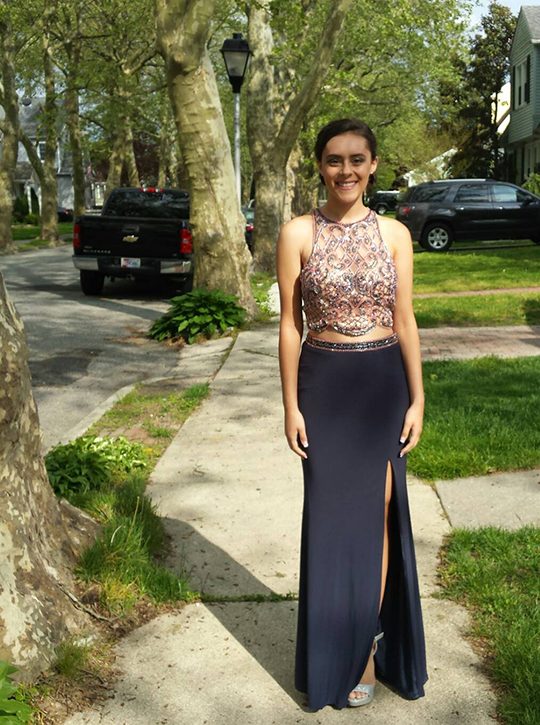 Roo Girl Nikki Librizzi Stunned In Sherri Hill At Her Prom And The ANTSO Pageant! Nikki Librizzi showed off in two gorgeous Rissy Roo's dresses over the past few months, and we're obsessing just a little (or a lot). She attended her prom back in May, and in June she competed in the America's National Teenager Scholarship Organization (ANTSO) Pageant and walked away with a crown! Of course, she dressed in style in Sherri Hill dresses for both events. Read on to see what she wore to her prom and pageant and what title she won at the ANTSO pageant. This entry was posted in Testimonials, Pageant Dresses, Prom Dresses and tagged Prom Dresses, Pageant, pageant dresses, pageant queen, Prom, Prom dress, testimonial, Pageants, pageant dress, pageant dress testimonial, Prom Dress Testimonial, Prom 2016 on July 6, 2016 by Chrissy Roos. Ryleigh Flynn Wins Third Runner Up in the Miss Sugar Pageant! This is almost too cute to believe. One of our littlest Roo Girls, Ryleigh Flynn, just placed as the third Runner Up in the 2016 Miss Sugar Pageant, and she looks absolutely adorable! Ryleigh's mom, Jamie, recently sent us photos in her winning Rissy Roo's dress, both on stage and with her trophy. All of our hearts are melting at Rissy Roo's! "Her dress came in and fit perfect! Thank you! She placed third in her pageant! She participated in the [Miss Sugar] pageant with 10 beautiful girls and is eager to do it all again next year! The dress came in and it fit her like a glove!" 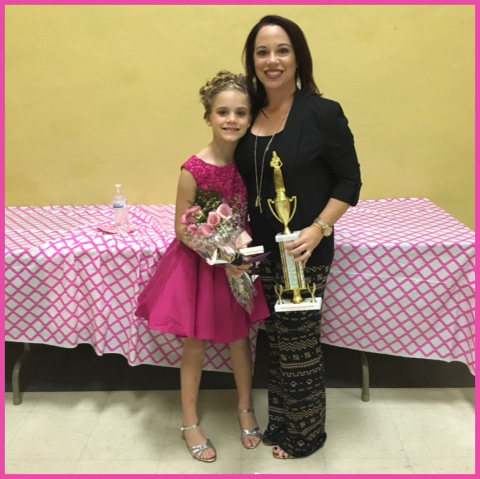 This entry was posted in Testimonials, Pageant Dresses and tagged Pageant, pageant dresses, testimonial, Pageants, pageant gowns, pageant dress, pageant dress testimonial on March 9, 2016 by Chrissy Roos. Miss New Hampshire's Outstanding Teen Teghan Gregson in Rissy Roo's! 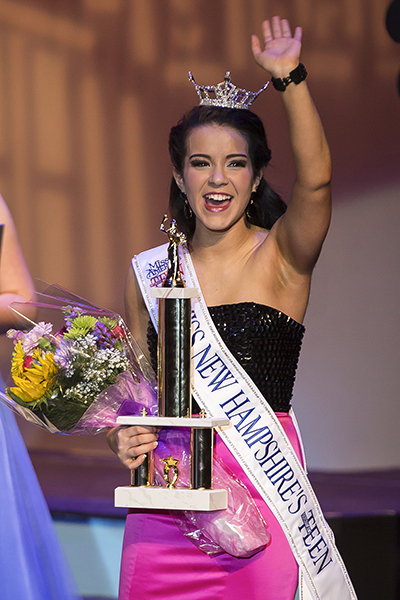 We're so excited and proud to announce that our very own Teghan Gregson has recently been crowned the Miss New Hampshire Outstanding Teen 2016! Teghan had come by the Rissy Roo's store in Linwood, NJ earlier this year during Miss America weekend in Atlantic City, NJ to find a perfect dress for her own pageant, and she certainly did find that perfect dress because she's now a pageant queen! Teghan's mom, Erica, recently sent us some beautiful pictures of Teghan all dressed up, with some very kind words to accompany the pictures. Check out what she had to say below. "We just wanted to send some pictures and elt you know that Teghan Gregson was crowned Miss New Hampshire's Outstanding Teen 2016 in a gorgeous Sherri Hill gown that we bought from you on Miss America weekend! Thank you for the gorgeous gown that also won the preliminary award for evening wear and onstage question. And the perfect earrings to match!" This entry was posted in Testimonials, Pageant Dresses and tagged Sherri Hill, Pageant, pageant dresses, pageant queen, testimonial, Miss America Pageant, Pageants, pageant gowns, pageant dress, Pageant Evening Gown, pageant dress testimonial on March 1, 2016 by Chrissy Roos. This year's Miss Universe pageant was quite the event! The whole pageant was full of memorable moments, but the moment that stuck out was undoubtedly the end, and it wasn't just for who was crowned the winner, but for how it happened. Miss Columbia, Ariadna Gutierrez, was named Miss Universe 2015... but not for long. Miss Universe host Steve Harvey had a big correction to make, as he named the wrong person as Miss Universe 2015! The real winner, and our official new Miss Universe 2015 is Miss Philippines, Pia Alonzo Wurtzbach. Steve was very apologetic for the response, and we totally feel for him. Check out what happened in the clip below. This entry was posted in Pageant Dresses, Celebrities and tagged Sherri Hill, Pageant, pageant dresses, pageant queen, Pageants, pageant dress, In The News, Miss Universe, news, Miss Universe 2015, Pia Wurtzbach on December 22, 2015 by Chrissy Roos.